In the past few months, there have been a number of changes at CRU that I wanted to let you know about. You may have noticed a rather full calendar for 2015 and some new names appearing so I thought it was time for an update. We commenced three new initiatives in the latter part of 2014. The Disability Leadership Project commenced in July 2014. This is a private donation to further the development of leadership by people with disabilities and family members in Queensland. In October we called for expressions of interest in two small funding rounds – one for individuals and one for groups engaged in leadership. We had over 30 applications and hard decisions to make. We were able to assist 3 groups – the South West Peer support group; the Brotherhood of the Wordless and Good Neighbours. We also funded three individuals – Luke Cowan, Rod Mills and Debbie Chilton. These projects are just getting started and we will give you further information on their progress later in 2015. There will be more funding rounds during 2015 and they will be announced soon. My Future: My Life – until now this has been a small funding program, administered by Centacare, for students in Grade 11 and 12. During 2015 it will be extended to include planning and pre-planning opportunities for high school students and their families. Centacare is running this project across Queensland and CRU will partner with them to work with 50 families in the Brisbane and South West Queensland regions. In other areas, Carers Queensland and Centacare will work with families. We have a new part time staff member, Trina Steed joining us to work with Lisa Bridle on this project. 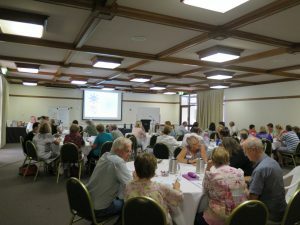 Participant Readiness Project – during 2015 CRU will offer over 30 workshops to assist people with disabilities and family members to prepare for the introduction of the NDIS in Queensland. This is a short term project due to be completed by January 2016. We have been asked to work in the Brisbane, South West and Central Queensland regions. There are 8 other organisations involved in this initiative and there is more detail about who is doing what on our website. 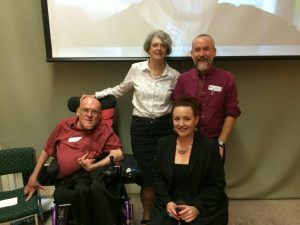 Even though there is much that is not yet known about the NDIS it is clear that the more people have thought about what they want for their life, the better prepared they will be for this transition. 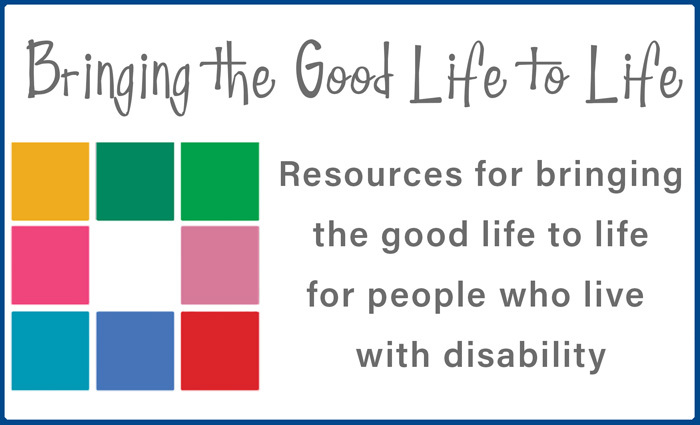 We will soon be adding on line resources to also assist people further as we appreciate that one workshop will not be enough. Sue Duncan-Kemp is leading this project. She is joined by Suellen Welch, Hugh Rose Miller and Catherine Laherty. We have also engaged a small team of contractors to assist us to deliver some of the workshops – Penny Sampson, Sharon Bourke, Jane Sherwin, Jeremy Ward and Catherine Raju. CRU has also been asked to assist families of people supported by AS&RS to prepare for the NDIS but at the moment the starting date for those conversations is not clear. In addition to the general workshops, we are currently planning some trips to the more remote parts of South West and Central Queensland and working with multicultural organisations to ensure people from culturally and linguistically diverse communities are involved. We have some capacity to offer further workshops to particular groups and are very open to your suggestions on what else is needed. In addition to all of this new activity, rest assured, we will continue to offer workshops, courses and conversations across the state to people with disabilities, family members and workers from both the government and community sectors as we have always done. Suellen, who is now full time at CRU, will be joined by Danielle Mason to organise and deliver some of these initiatives and Lisa and Trina will focus on Leadership development activities. The first edition of CRUcial Times for 2015 is due out very soon and we will continue to produce two each year. Critical to CRU but working largely behind the scenes is the Management Committee. At our AGM in December last year, there were a number of changes. We farewelled Mike Duggan and Richard Warner. 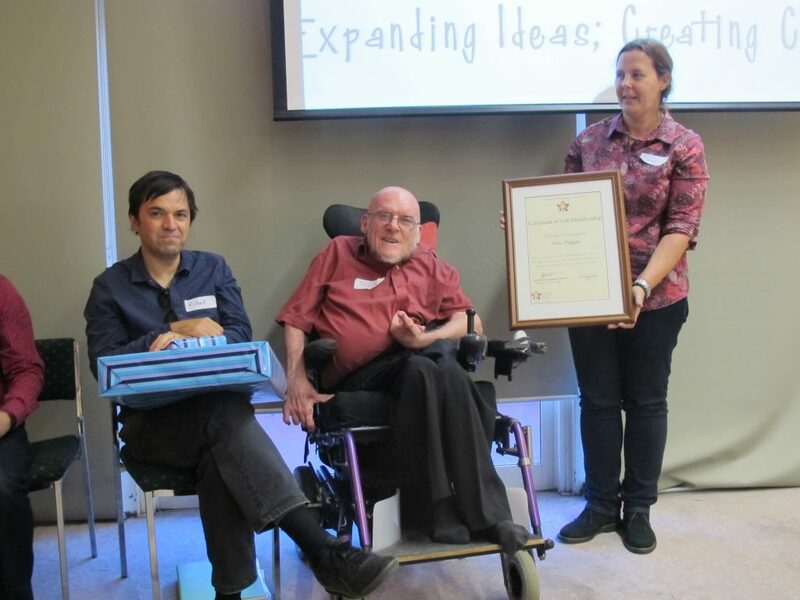 Mike was awarded Life Membership in recognition of 23 years of service to the CRU committee. Richard had been on the Committee for 6 years and played an important part in the transition of CRU. Matt Stone stepped down as President but will stay on the Committee as Vice President and Sharon Daley has taken on the role of President. Josey McMahon has joined the committee as a new member. And there is one more very important change to our team – Kim Jensen and Bobby Noone who have shared the Admin and Reception role for the past few years will be taking on new challenges in 2015. Kim finishes this Friday for one year’s maternity leave and Bobby will take on a role as a project worker within CRU. Their role on the front desk will be taken up by Dee Henry. Dee started with us a few weeks ago so you may have already spoken with her. We are fortunate that Kath Flemming will continue in her role as administration assistant and Bill Kyle will also continue as our finance officer. So our little team has grown rapidly – doubled in fact – and most of the growth will be just for one year so that has its challenges. However, we are excited by the opportunities and really pleased to welcome some great new people into the CRU team and to have some additional resources to be able to visit much more of this big state.